Our glass balustrade systems are a unique style of railing featuring stainless steel handrails and component parts. 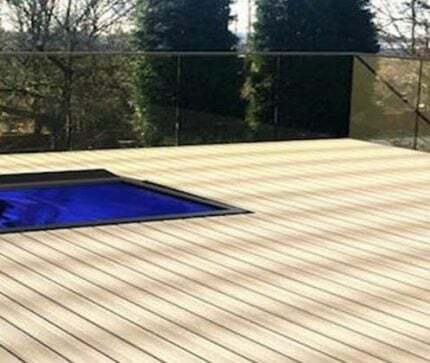 They are designed with simplicity in mind for a glass balconies or garden decking balustrade. Elite Balustrade design each project individually to suit exact requirements. These systems are designed for fast and easy installation upon delivery. Our bespoke design and manufacture service gives you a tailored made solution to meet all your project needs. We also offer a range of “off the shelf” solutions with fixed sized panel sizes and balustrade fixings. This allows you to create your own balustrade design. Visit our online store for find our more. This solution enables you to save costs on design and manufacture time if your budget is paramount. A stylish and economical balustrade system with sleek bottom mounted stainless steel posts. A stainless steel channel glass balustrade design with base, edge and side mounted options. Bespoke balustrade design solutions featuring stylish glass and stainless steel finishes. Balustrade systems enable the safe use of raised areas and platforms, minimizing the risk of falling and injury. Certain balustrade designs also act as a means of fencing off an area such as a patio or deck, to define an outdoor living area. 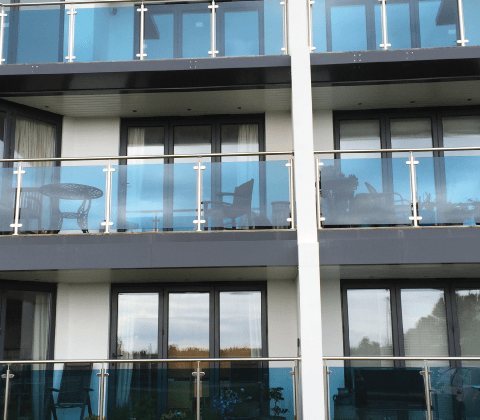 Glass balustrade systems are ideal to use for all these applications for different reasons. A well designed glass and stainless steel balustrade can be a stronger solution as compared to timber railing and balusters. It will also last longer especially when used outdoors and exposed to the elements. As well as being a contemporary design solution glass balustrade screens allow for uninterrupted views and can act as a windbreak when used outdoors. 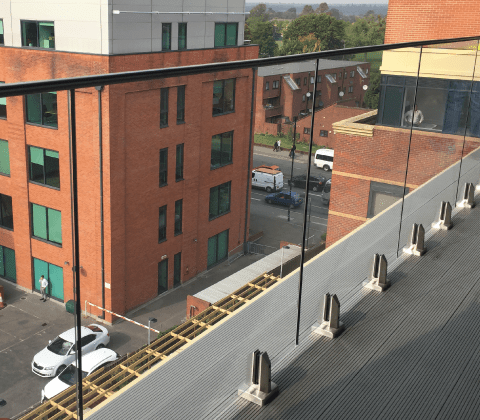 When using glass as a safety rail and guard it is advised to seek professional design assistance from a specialized glazed railing specialist, to make sure the design meets all current building and safety regulations. What glass panels options are available? The type of glass used on a balustrade system is all dependent on the use, style of railing and type of fixing and support brackets used. This is also dictated based on recommendations stipulated by British Standard Institute and enforced via the building and safety regulations. The most common form is toughened sheet glass, often know as tempered glass. This is a single sheet of glass heat treated after it is cut to size and drilled. This makes it less likely to break and poses less of a threat when broken. When using this style of glass as a balustrade it is always recommended that a separate handrail is used as a safety measure. The use of a rail will prevent a fall as the glass will break into small cubes when it shatters. 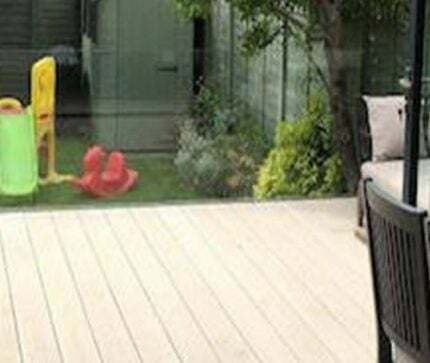 The second most common type of balustrade glass is toughened laminated. Again, this is heat treated but with this product two panels of glass are bonded together. This means this product can be used without handrails in frameless balustrade solutions. The reason for this is if the glass fails, the panels stay intact preventing a risk of a fall. At Elite Balustrade Systems, we specialise in frameless balustrade designs. Frameless designs are gaining in popularity due to their simple design style, clean lines and uninterrupted views when installed. 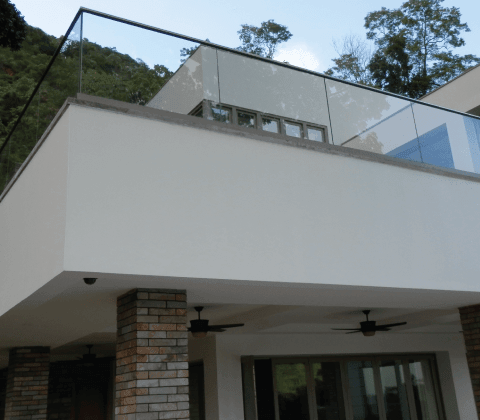 One benefit of using a frameless glass balustrade when designed with the appropriate thickness and type, is that it is stronger and more durable. We offer two main styles of frameless balustrade. This includes Frameless Glazing Channel and Frameless Mini Post balustrade. These come in 9 differing fixing styles which can be customized with the 3 main specifications of glass used, including toughened and laminated. Dependent on application, design requirements and the look you want, 6 different handrail configurations are also available. This means we can provide 108 customised options based on our two-main style of balustrade just using clear glass. Other design requirements can be catered for including privacy glass and tinted glass that brings the customisable options to over 300 available combinations. When deciding on a style of glass balustrade, consider how it will be used and where. One example is low level areas with or minimal fall risk of less than 600mm. This would include project areas such as decking, patios and verandas. A base fix is the most flexible solution including the two styles of Mini Post designs and two profiles of Glazing Channel. Materials suitable for fixing to include, masonry, concrete, timber and steel beams. At heights over 600mm you need to protect against falls and injury. Project areas would include raised terraces, balconies, and rooftop terraces. Fixing details depends on the application such as use on platforms that may have waterproof membrane such as GRP. Some top mounted solutions are achievable when anchor studs are pre-installed prior to waterproofing. Alternatively, a side mounted systems can be fixed into structural beams, steels or into masonry. We have two Mini Post and two glazing channel profiles that side fix. “Just wanted to say thank you for the great service. Delivery was really prompt and a minor order issue dealt with extremely proficiently. A real nice change to have excellent customer service as fast as this. I'll certainly be returning in the future for the next phase of my renovation project. “Dear David, Jill & myself are taking this opportunity to thank you and your colleges at Elite Balustrades for a truly first class installation. This was not the easiest project to complete. Your erection team produced a truly remarkable finish of superb quality. They worked extremely hard for three days solid to make sure that we were completely satisfied with the end result. Let us assure you it is a wonderful experience watching the whole concept coming together. Thank you once again.